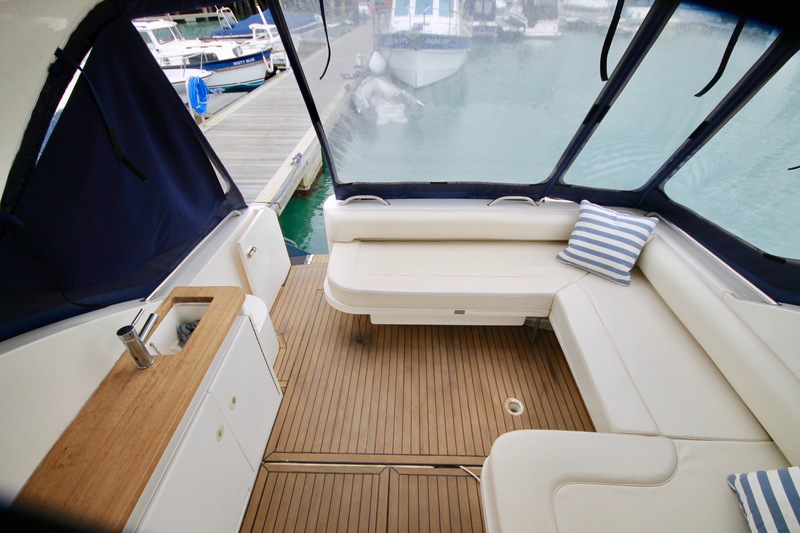 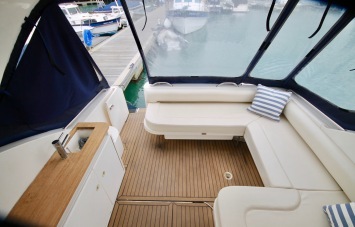 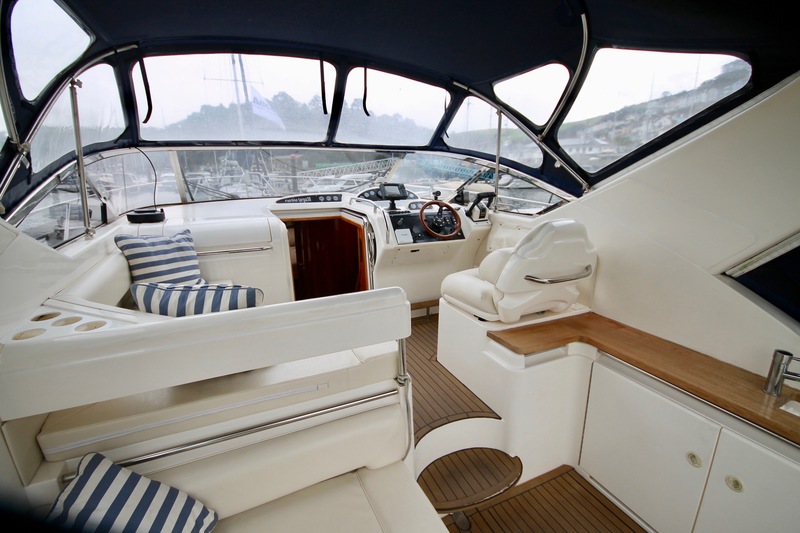 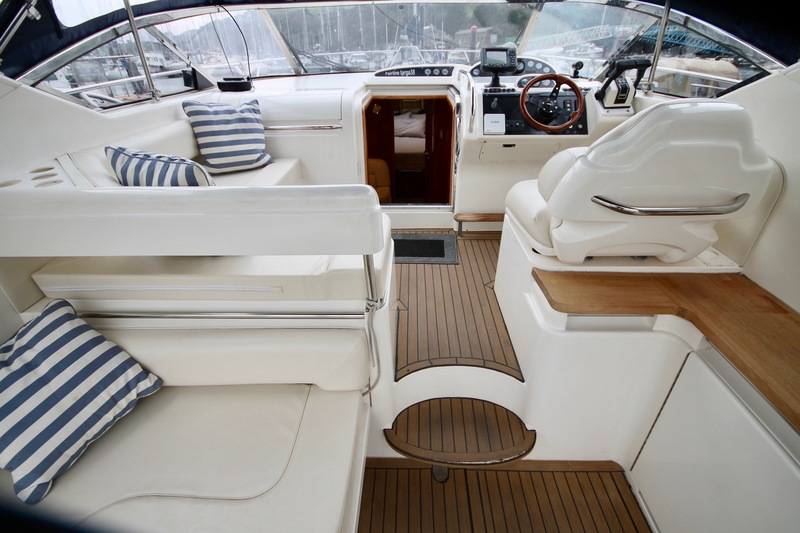 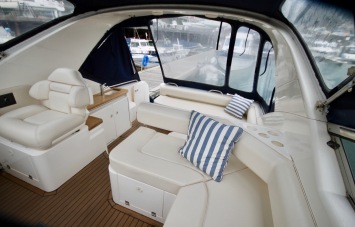 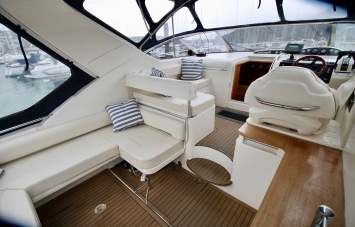 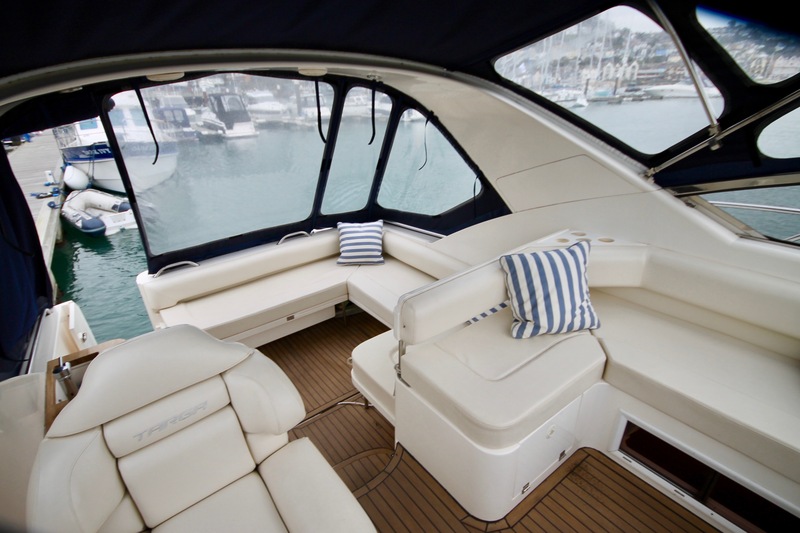 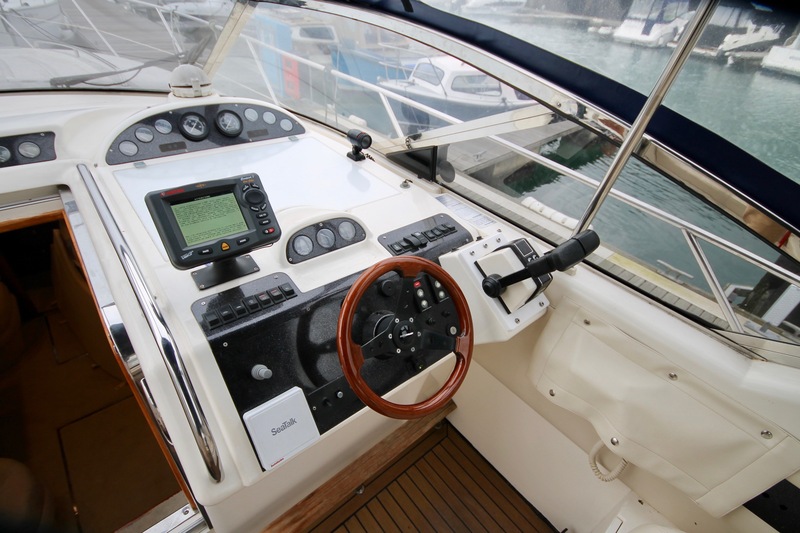 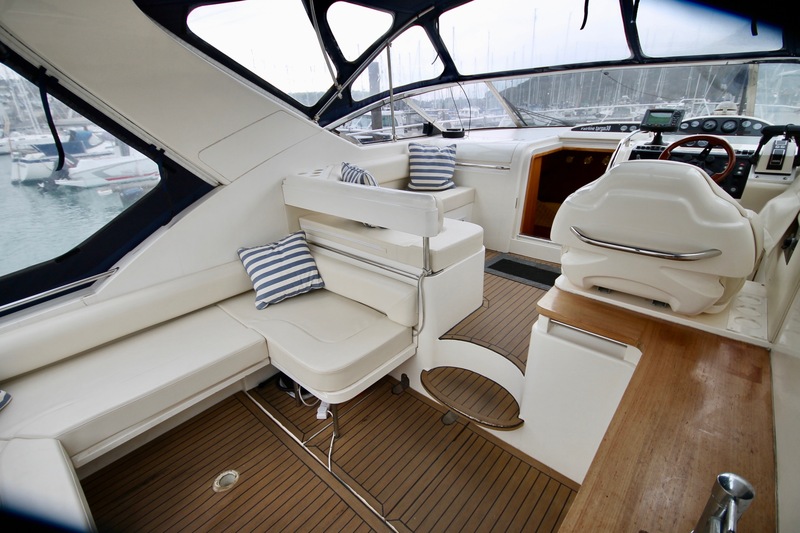 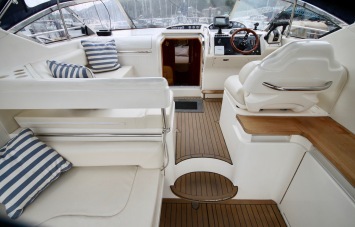 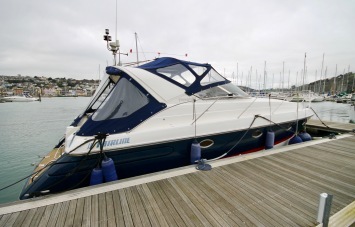 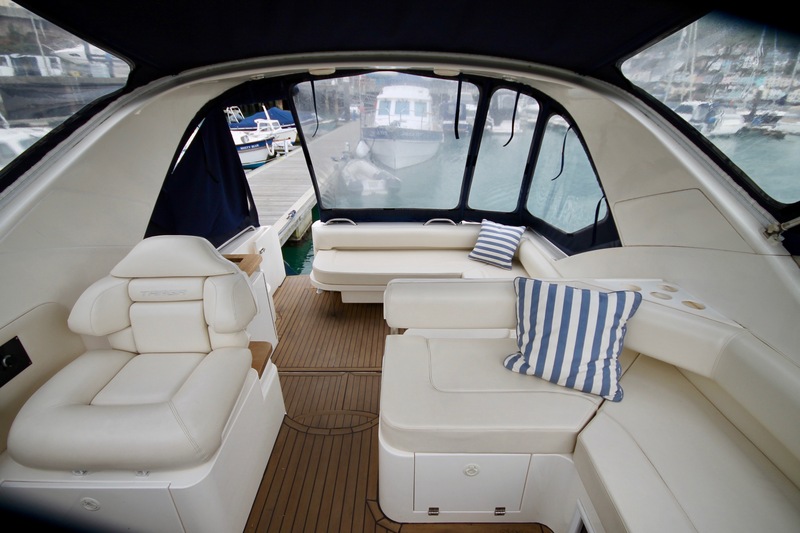 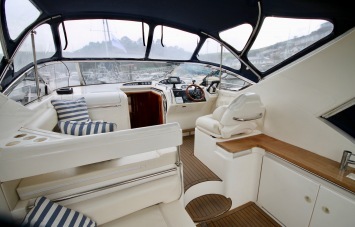 The Fairline Targa 38 is a model sought out by prospective owners for age-defying lines, a class leading spacious cockpit and modern generous accommodation. 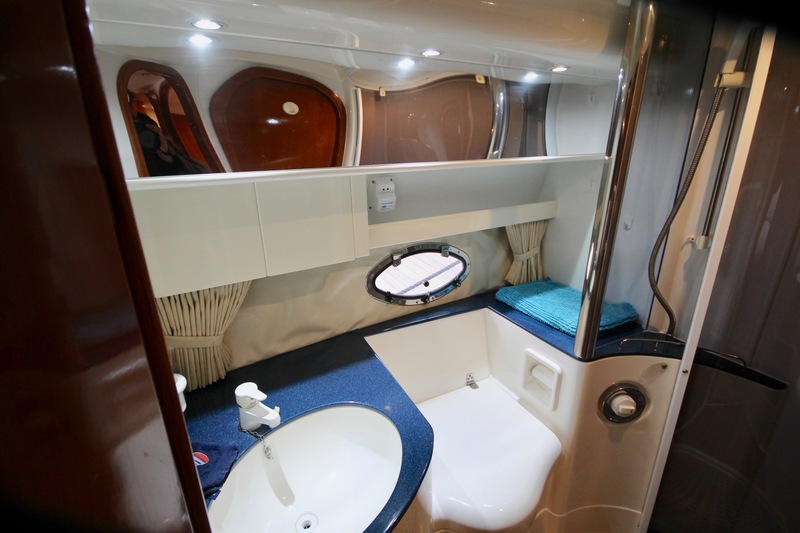 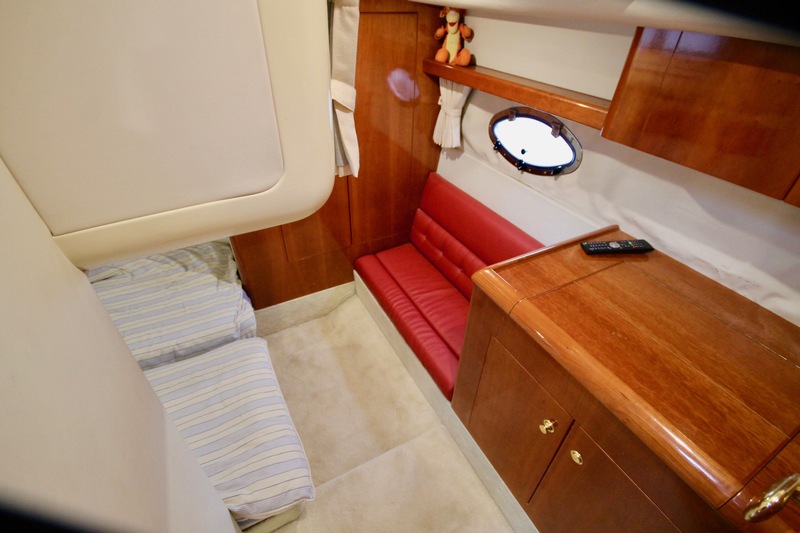 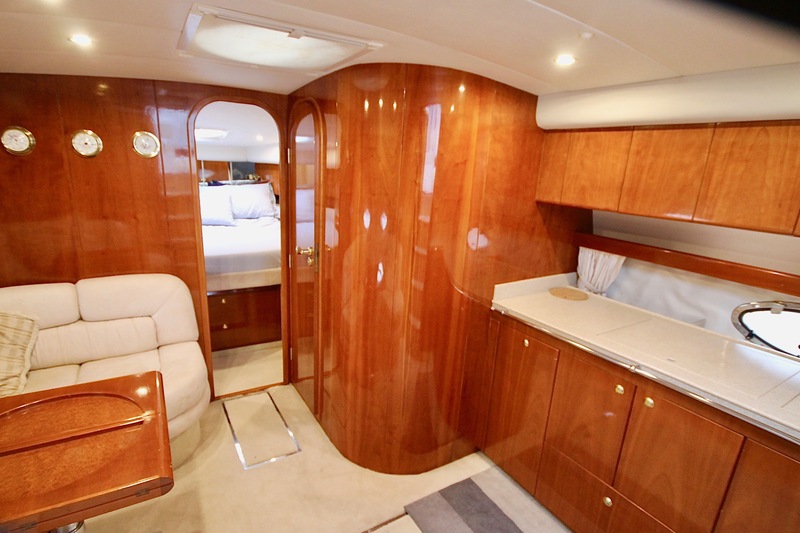 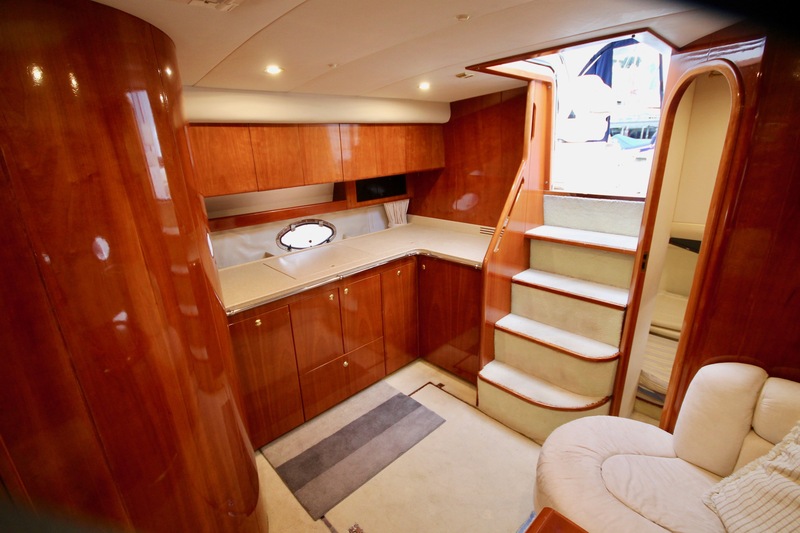 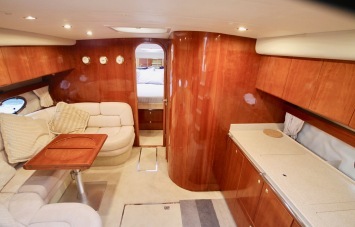 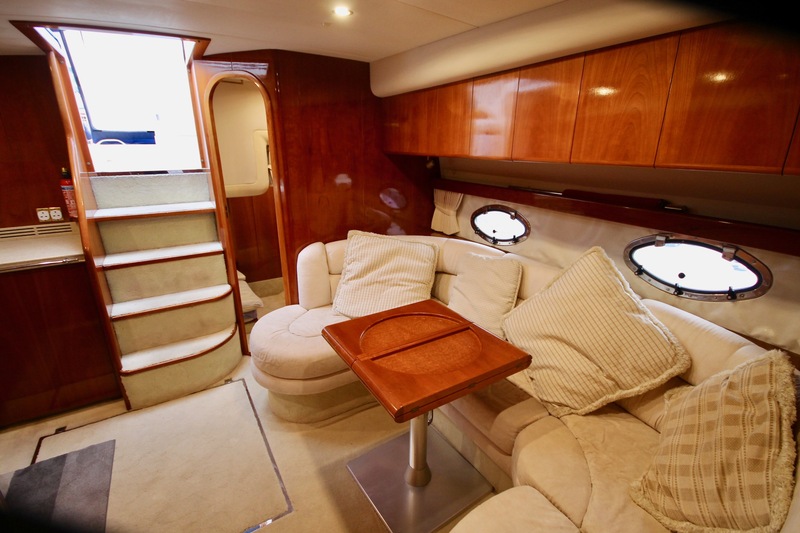 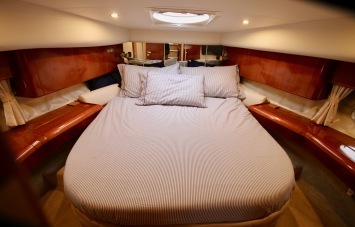 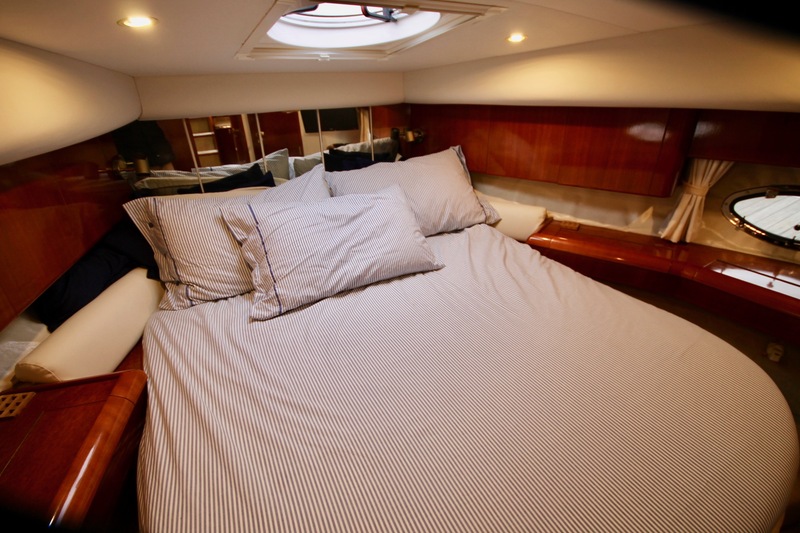 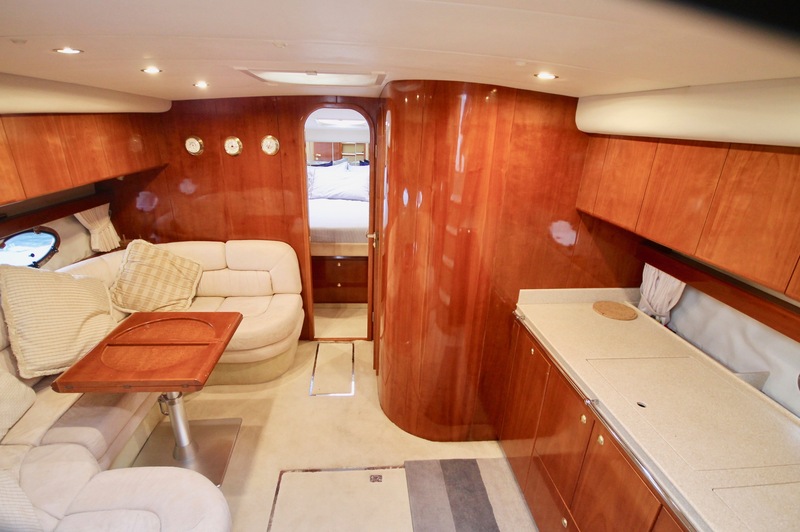 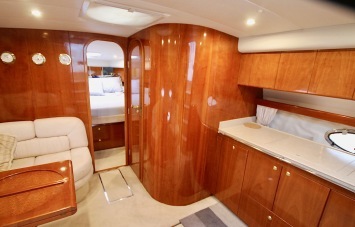 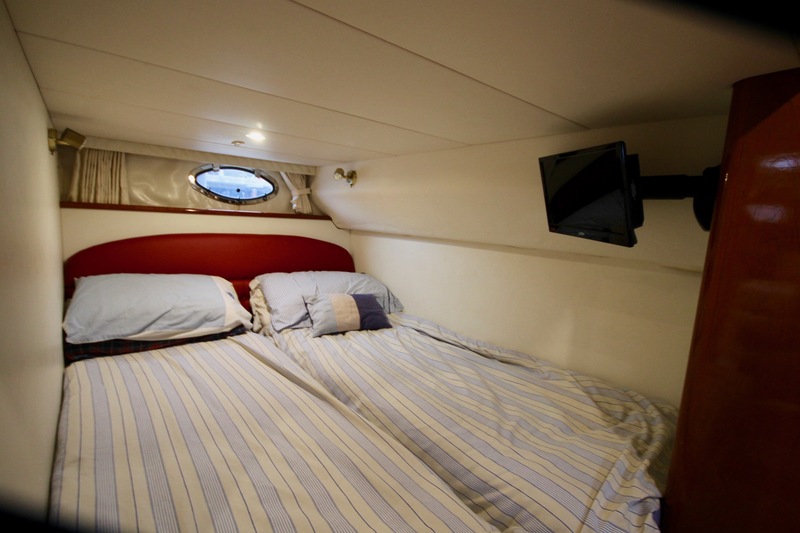 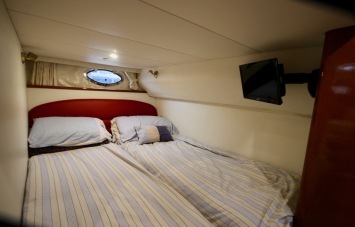 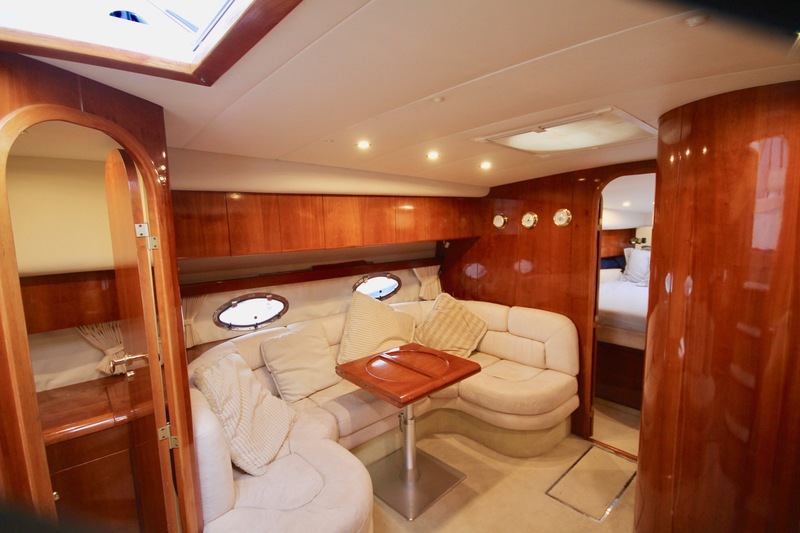 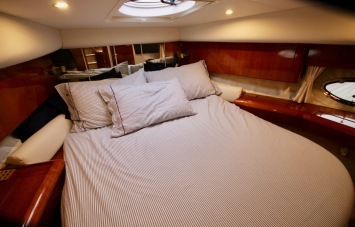 This particular example is offered for sale by an experienced motor yacht owner, evident in the servicing and well thought out canvas/camper cover designs. A beautiful blue hull complimented by a red boot top line catches anyone’s eye, combined with recent navy covers and synthetic teak decking, add up to a real head turner! 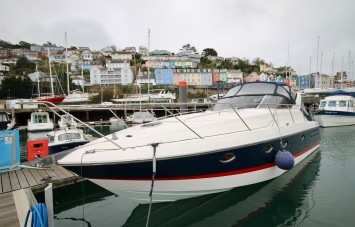 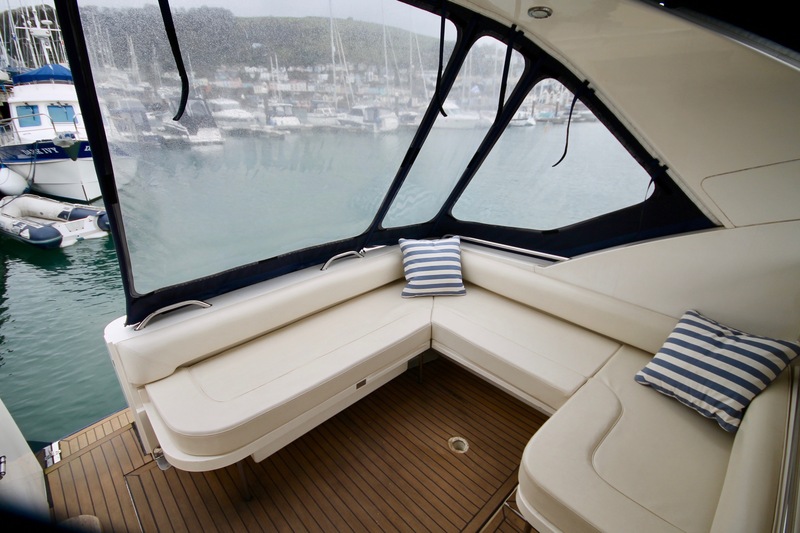 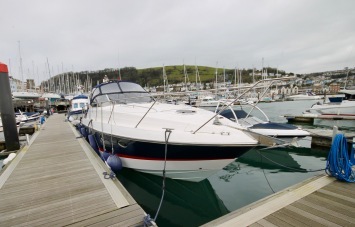 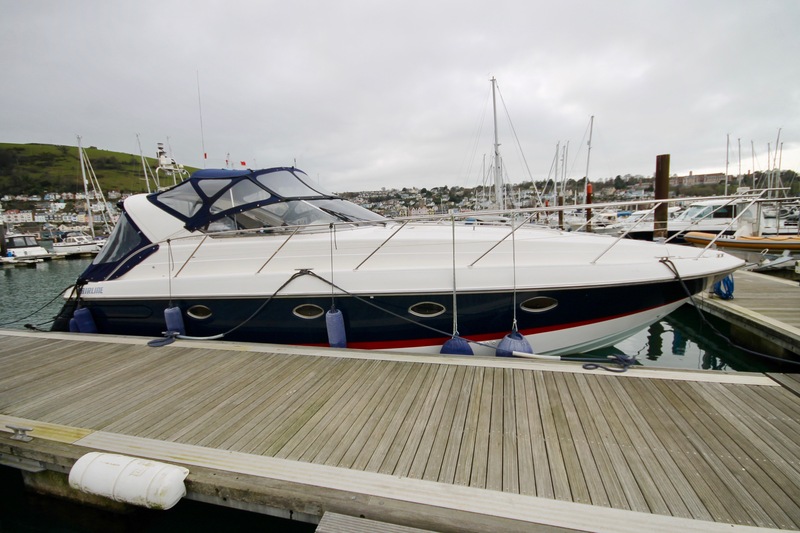 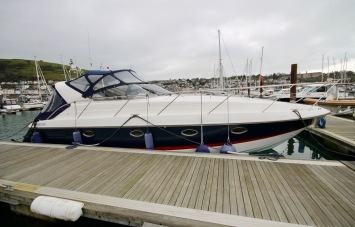 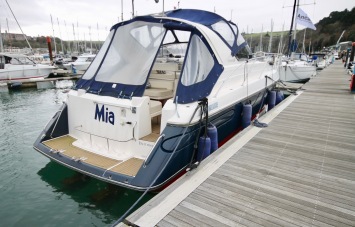 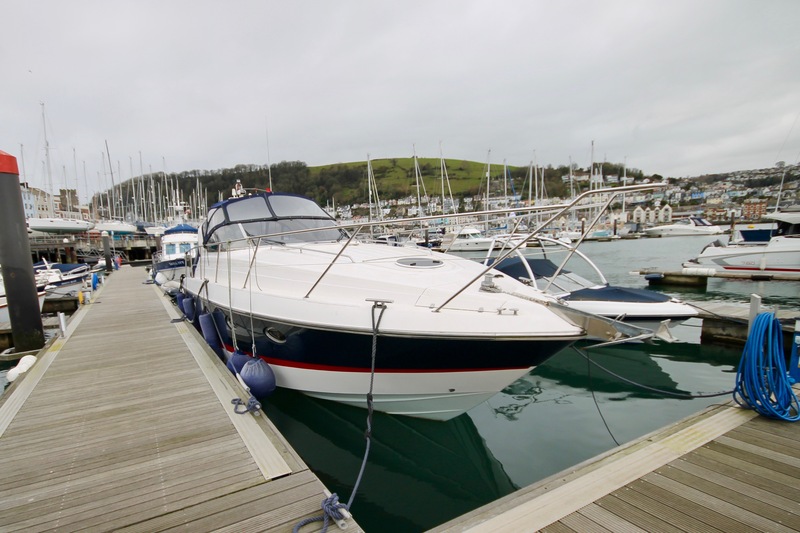 Priced to sell prior to the start of the season, we welcome viewings and encourage her next owner to make an appointment sooner rather than later! All standard Volvo engine gauges, colour chart plotter, depth gauge, dual Volvo throttles. 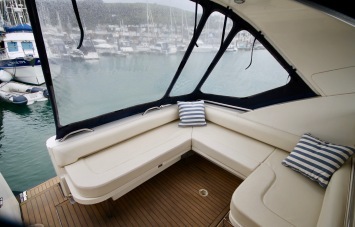 All seating recently upgraded to super high quality leatherette in off-white, artificial teak decks, table, gas locker, storage. 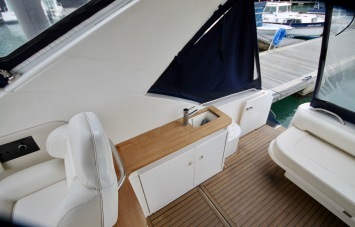 New in 2016, custom design with multi panel openings and block out panels for all windows. 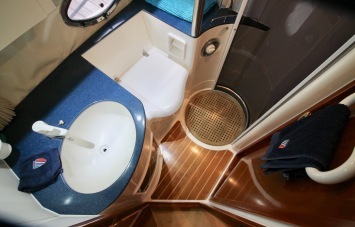 2 x KAD42 with 290 outdrives.